This week, the midnight sun has been creating a marvellous night sky painted in all hues of crimson, sapphire, orange and pink. If you have captured an amazing Icelandic night sky this week, send us your name and your photo and we'll publish it on Iceland Monitor. 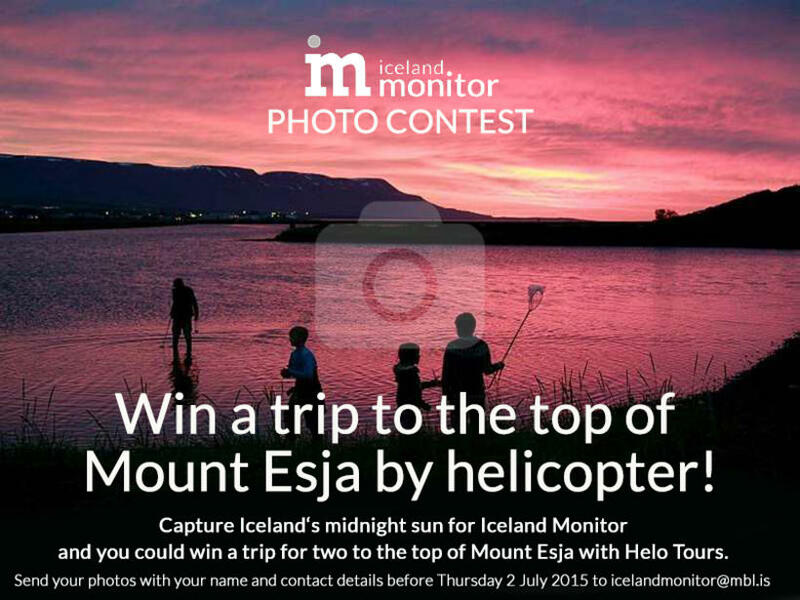 Send your photos, taken anywhere in Iceland, with your name and contact details before Thursday July 2nd and we will publish a selection of the best photographs submitted on our Iceland Monitor website. The tour offers a unique and fascinating perspective of Reykjavík from the top of Mount Esja with stunning aerial views of the capital and its surroundings.